We are two weeks into back to school and this is the time where friendships are starting to form or for some are already turning south. One day your little one might come home singing the praises of their new friendship group but within a couple of days they may come home in tears after overhearing a conversation about them. 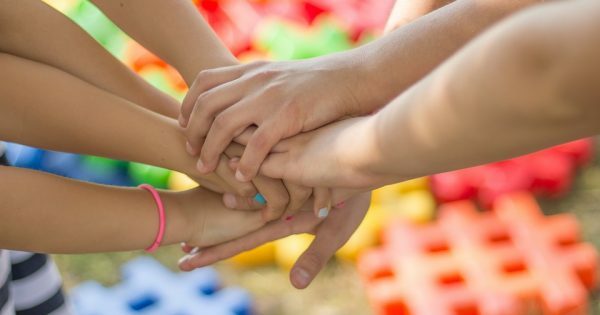 It’s inevitable that cliques and friendship groups will change over time and Dr Amanda Gummer has put together some advice that you can pass onto your little one on how to tackle friendship dramas. Amanda is an expert having gained a PhD in neuropsychology, a Postgraduate Certificate in Higher Education and over 20 years of experience working with children and families. 1. Think about how you say things, not just what you say. 2. Don’t say things to others that you wouldn’t want to be said to you. 3. It’s a good thing that we are all unique and have our own strengths and weaknesses. 4. You may not know how another is feeling, so always be kind in case they are already having a tough time! 5. Respect other people. Not necessarily because they are nice, but because YOU are. *Handy advice provided by Dr Amanda Gummer, Child Psychologist. What is your advice for tackling school friendship dramas? Let us know over on Facebook and Twitter.